Passwords must be changed every three (3) months. When setting a password, a minimum of six (6) characters must be used. The same password cannot be used within a two year period. 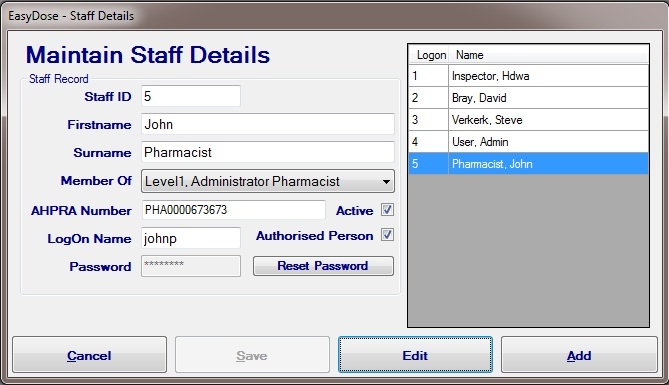 Resetting a password can only be performed by a Level 1 Administrator. When reset, it is reset to ‘password’. 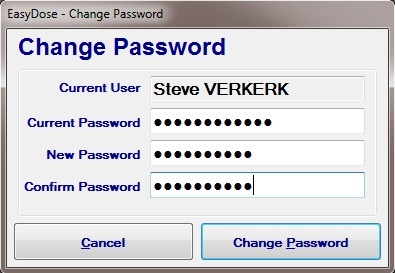 Users can change their own password manually or when prompted by the system. When prompted by the system the following procedure will change.